Saturday morning, March 2nd, 2019, Claudin Augustin walked the dirt field, his expert eyes assessing the goat herds for signs of good health and strong genetics. The previous week, the squalor of the animal market hardly touched his senses as he haggled for the price of twenty-two does to the sum of 5,500-6,000 goudes per head – the equivalent of $70-$76 USD. Bringing these does back to the Many Hands commercial goat herd, each of these special goats now had a unique purpose to impact the future of a child by giving power back to their parents. Tim knew that, in order to have the greatest impact on the children’s development, Many Hands needed to have contact with them at a much earlier age and needed to seek life-transformation for their family as a whole. From this realization, the Love in Action Initiative evolved. Within the initiative are two programs, First 1000 Days and Power to the Parents. The First 1000 Days program focuses on the holistic development of a child and his caregiver within the first thousand days of the child’s life. The Power to the Parents program seeks to partner with parents for a deeper level of spiritual, personal, and economic development which can be continued long after they graduate from the three year program. Many Hands often saw that whether or not a child advanced his education depended on the family’s finances. If the finances weren’t available, parents were faced with either pulling their child from school, going into debt to pay school costs, or forced to continually rely on foreign sponsorship to determine their child’s future. All three options were potentially crippling for any parent’s self-confidence. 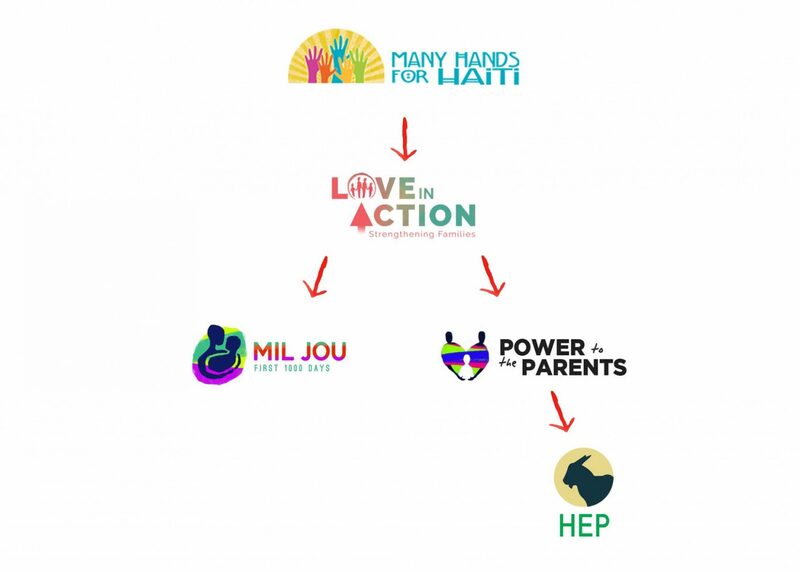 To address the economic need many Haitian families face, the Husbandry Economic Project (HEP) was launched under the Power to the Parents program. This cooperative provides two pregnant goats for the family of every student in the Yellow Iron School of Light Preschool. 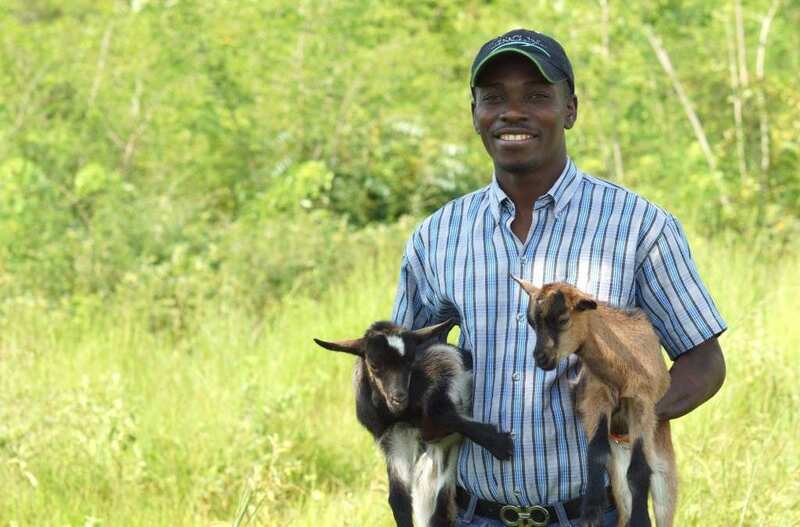 These goats and their offspring have the potential to change a family’s economic status, providing financial stability to meet everyday needs, pay yearly tuition fees, and save for the future. Yet providing an array of “tools” to change one’s future does little good if knowledge and understanding don’t accompany them. 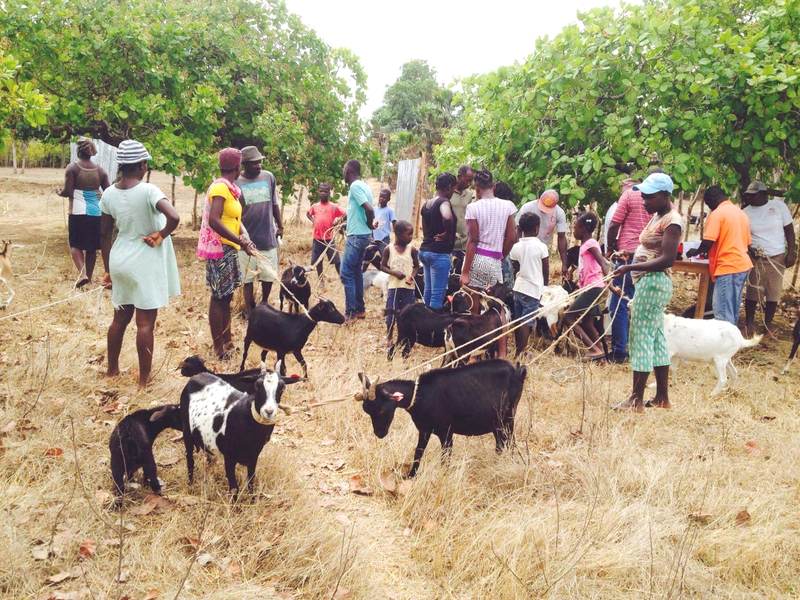 Classes and practical advice are made available to parents on proper goat care and better breeding practices, as well as training on educational savings plan concepts. 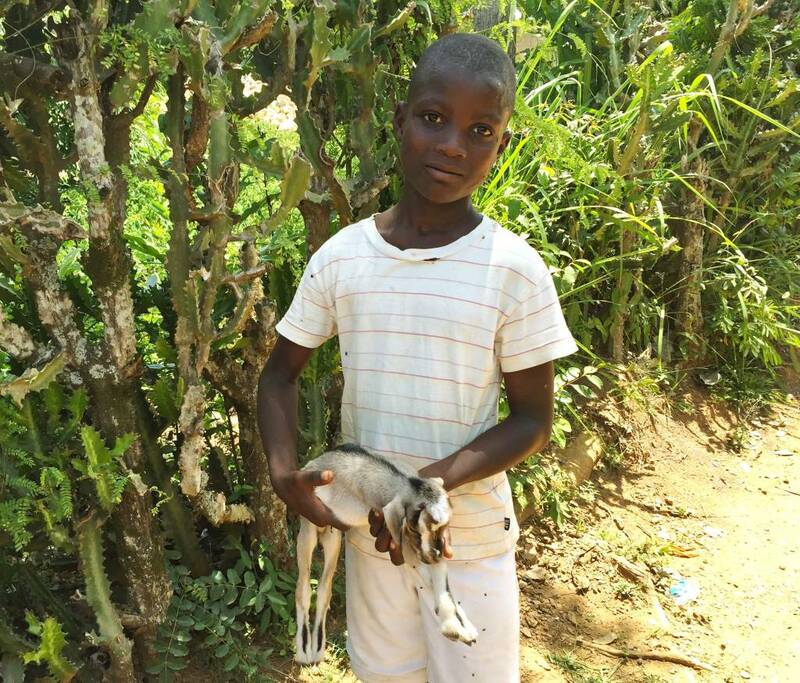 After the families grow in their ability to care for their goats through hands-on experience and check-ups with Many Hands veterinary technicians, a second pregnant goat is distributed. A young boy holds a 2-day-old kid. 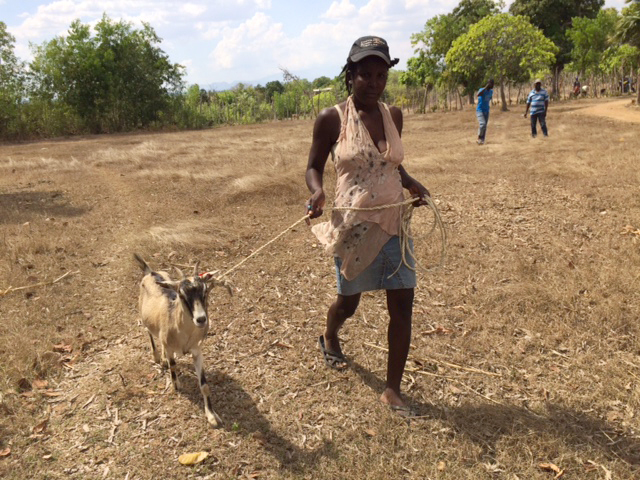 Goats are provided to families during our distribution days. 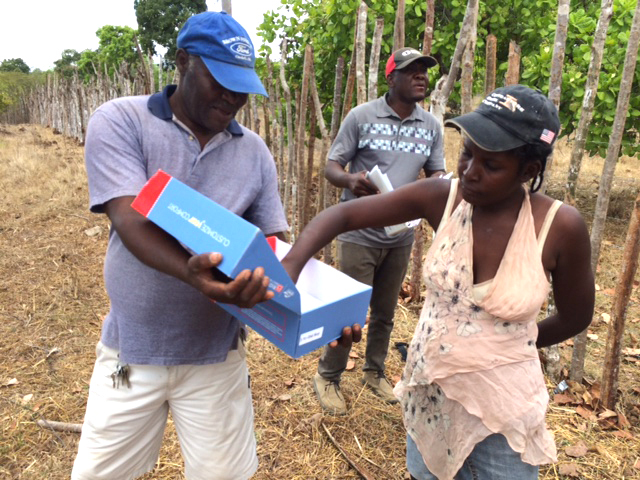 Our most recent distribution on March 2nd, 2019 was an exciting day for the Power to the Parents participants as they gathered together to receive their second goat as part of HEP. 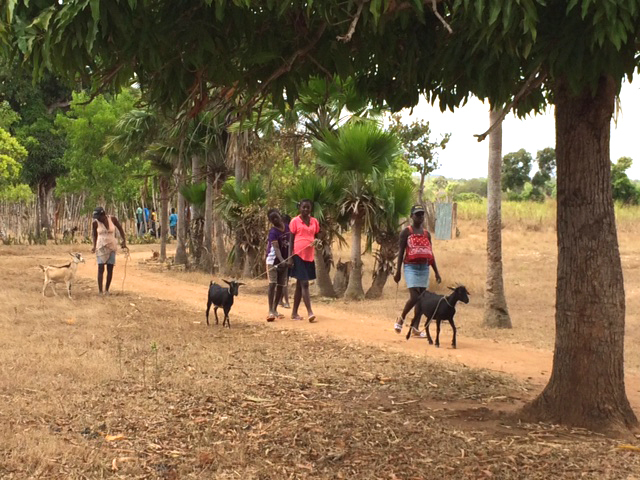 First, newly bought pregnant goats were brought to the MH4H goat land to be tagged in the ear and given a number. Each goat’s number was written on a piece of paper which was folded and put in a box. The parents blindly drew a paper from the box to determine which goat would be theirs. After the numbers were chosen, each person checked ear tags to find the goat they had drawn. 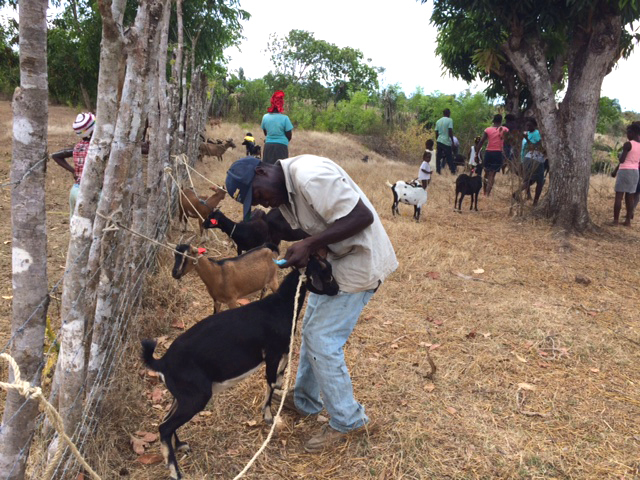 As the goats were identified, Claudin recorded the number of the goat with the respective family. 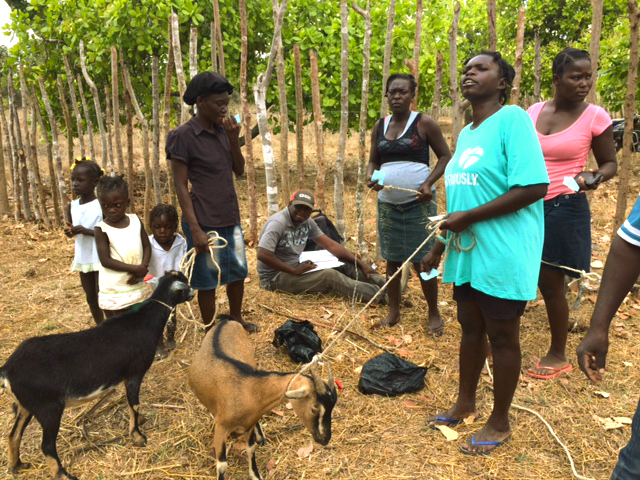 The parents were encouraged to bring their goats to Many Hands on the last Friday of each month so their goat can have a health check. In the last year, 122 pregnant goats have been distributed to the 61 families in the Power to the Parents Program. A total of 27 offspring have been sold back to Many Hands in the last year to be used for the First 1,000 Days nutrition program. MH4H will buy up to three goats a year (according to the local going rate for a goat) from each family in the Power to the Parents program. Through HEP, 50% of the amount is paid in cash while the other 50% is put into an Education Savings Account to be matched at the end of the 3 years when the School of Light Preschool students graduates. This savings account gives the parents a head start on paying for their child’s tuition. 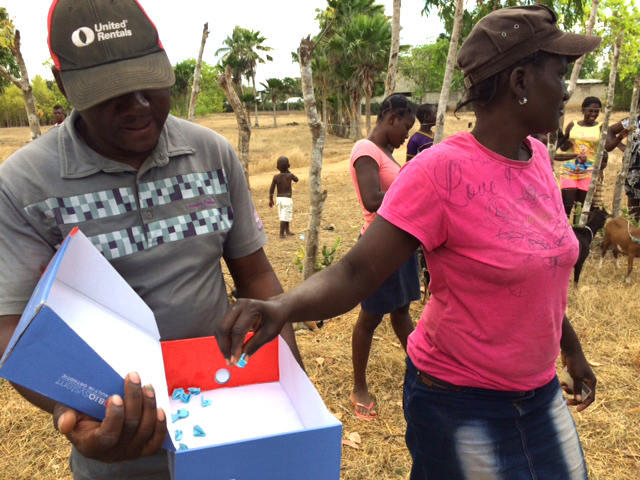 Please remember to pray for these parents as they take this next step in economic development. 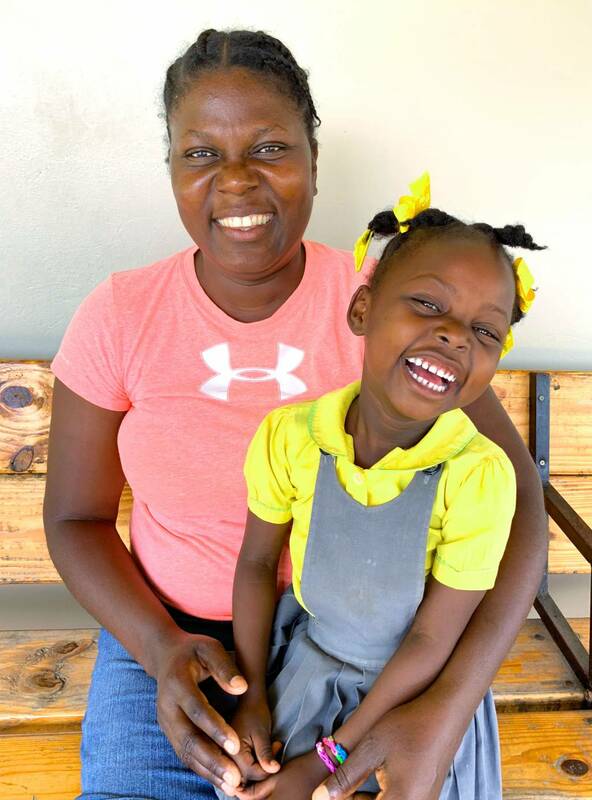 If you would like to sponsor a child in the Yellow Iron School of Light and a caregiver in the Power to the Parents program, follow the link below for more information. Give Power Back to a Parent today!